Over one week spent in Gaborone, with data professionals from across the globe, from 66 countries to be exact felt like that for me. It was an experience beyond any expectation I had. As I said in my speech during the opening plenary session, what was a dream over 2 years ago, became an unbelievable reality from 5-8 November 2018. International Data Week 2018 was amazing. I am a master student in information sciences and a research assistant at the University of Applied Sciences in Potsdam, Germany and was more than happy when I received the news that I was one of the grant winners for the RDA early career researcher program. 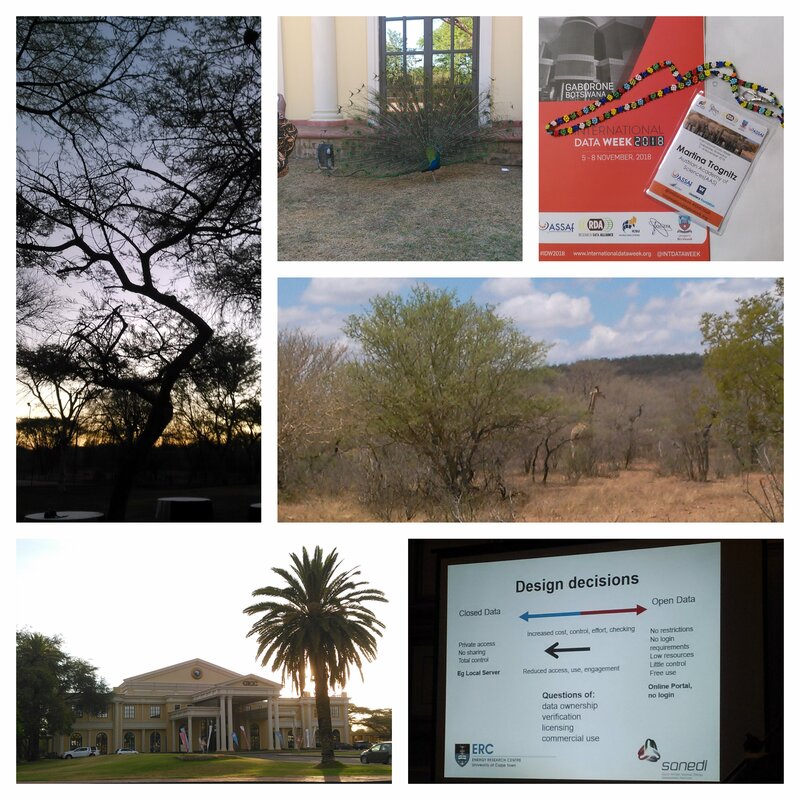 Being able to travel to beautiful Botswana and attending the RDA Plenary this year was a wonderful opportunity for me to meet fellow researchers interested in (research) data management from all over the world. For most of us the easiest way to get to Gaborone was flying via Johannesburg. Before I set off for my first Africa travel I read a lot about travelling to Africa, especially about safety in South Africa, Botswana and neighbouring countries. Reviews, especially of the OR Tambo airport were very bad: luggage missing, lots of pick pockets, etc. This year I was lucky: I received an Early Career Researchers Grant from RDA Europe as a follow up that allowed me to participate in the International Data Week in Gaborone, Botswana. When I knew that the International Data Week 2018 (IDW18) would have taken place in Gaborone from 5 to 8 November, my first reaction was: "wow, it would be my first experience under the equator!" I applied for the Early Career grant and, when I was awarded of it, my thought was: "ok, it's real, I am really going to Botswana!" I didn't know what to expect, at all.